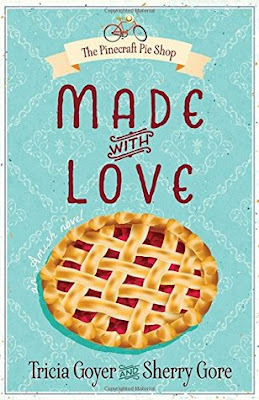 Made with Love by Tricia Goyer had me salivating all through the book. There were delicious pies being baked and I could visualize the quaint pie shop and just wanted to visit it! I enjoyed meeting the characters in this book. Lovina has four other sisters and her mother is determined to marry off her five girls. She feels this is her Amish duty. I rooted for Lovina and Noah and wanted them to realise their love for each other but Lovina's mother had other plans. She is always their to ruin their chances while her sisters try to help her achieve her dreams. I loved that this is the first book in the series and am excited to meet the other sisters. 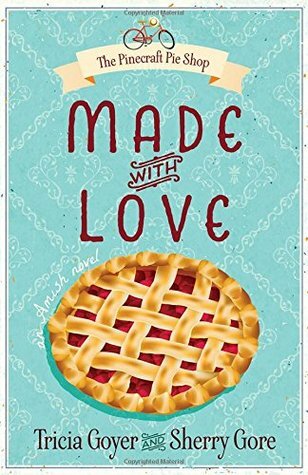 All in all, Made with Love by Tricia Goyer is a fun and entertaining romance that I enjoyed reading and recommend it to everyone. 4 out of 5 to it from me.